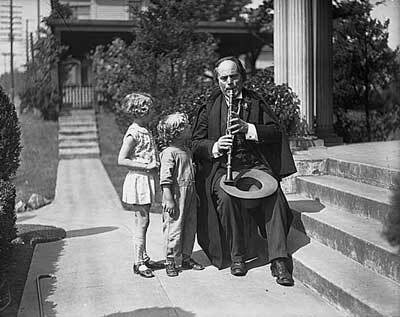 Greek clarinetist Nicholas Oeconamacos, who performed under John Philip Sousa and the Seattle Symphony conductor Homer Hadley, returned to Seattle during the Great Depression to play for change on the street. By the late 1920s, the golden finish began to tarnish. In 1928 the sound track for the moving picture appeared, and by 1929 mechanized sound music machines replaced many theatre musicians. By 1930 some 22,000 of these professional theatre musicians were thrown out of work. In the nation’s capital over 60 percent of those employed as theatre musicians in 1930 were replaced by canned music in the following year. The growth of the radio industry in the late 1920s also spelled unemployment for many musicians. Restaurants, pubs, hotels, and other employers of musicians and orchestras favored the cheaper canned sound of radio. New Jersey’s Funeral Directors’ Association went so far as to recommend the radio over hiring musicians for funerals. Even Prohibition created musical unemployment. Many night clubs and bars, forced by the 18th Amendment to close their doors, no longer needed musicians, and another 30 percent faced unemployment. All in all unemployment for America’s musicians rose dramatically. The American Federation of Musicians estimated that in 1933, 12,000 of its 15,000 members in the New York City area were unemployed, and that two-thirds of the nation’s musicians were also out of work. “America’s opera companies, orchestras, and theatres, which relied on private patronage, also collapsed,” Bindas (1988) states, because “[t]he philanthropists could no longer support the arts, and the funding drain forced many companies to close their doors” (pg. 32). The curtailed seasons and concert schedules fell by over 30% according to John Tasker Howard (1937) where we had a reduction of 3,750 commercial concerts during the 1929-1930 season to a “mere 2,600” three years later during the 1932-1933 season. 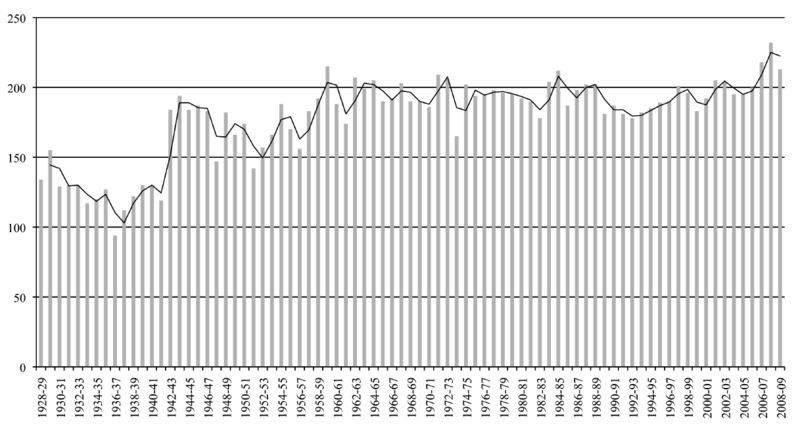 The graph I posted in my “Part-Time Musicians are the Historical Norm” post from Tassos Kolydas’ (2011) piece shows that the New York Philharmonic had a pre-Depression concert high of over 150 concerts during the 1929-1930 season, to reach roughly 125 concerts during the 1932-1933 season. By the 1936-1937 season, the orchestra gave fewer than 100 concerts–well over a 33% reduction of concerts. So about a 70% reduction of the musician workforce (with the rest having little gainful work); roughly a third of all commercial concerts were curtailed; some operas and orchestra shut down for a time or completely folded; and classical recordings doing dismally–a far different picture of classical music in the 30s than the more rosy one we’re given elsewhere. Howard, John T. (1937) “Better Days for Music” Harper’s, 74.